Belgian theologian, Mgr Stefaan Van Calster, the president of the Cardijn Canonisation Tribunal, has died at the age of 79. While attending an editorial meeting for the international theological journal, Communio, in Warsaw, Poland, he failed to appear at breakfast on the morning of Thursday 28 April 2016. “This morning he did not appear at the meeting,” a statement from the St Jinscentrum seminary in the Netherlands says. “When they went to look in his room, it was discovered that he was already deceased in the early morning. His death is probably due to a heart failure,” the statement says. 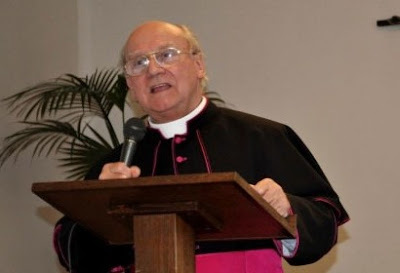 “Mgr Van Calster was particularly dear to us and we want to remember him as a very warm and welcoming person, as a dedicated and faithful priest who has acted with unbridled zeal and devotion for the Church in the Low Countries. “May the Lord grant to him after a life of great service to the community of the People of God, as the eternal rest,” the statement concluded. “We will truly miss Mgr Stefaan,” Cardijn Cardijn Community International convenor Stefan Gigacz said. “He worked very hard to gather testimonies and to compile the evidence for the dossier for the Cardijn canonisation process. “It was thanks to his expertise and experience that we have been able to achieve so much in so short a time. “The best way to honour his work will be to continue it,” Stefan Gigacz said. Born on 3 February 1937, Stefaan Van Calster studied mathematics and sciences and was for several years a teacher at the St Rombouts College in Mechelen (Belgium). After his military service he attended studies at the major seminary of the Archdiocese of Mechelen-Brussels. After his ordination in 1966, he studied in Munich (D) and obtained the degree from the Institut für Katechetik und Homiletik . He then continued his studies in Nijmegen and obtained the MA in theology, pastoral section. He obtained his doctorate at the former bishop of Liege, Mgr. A. Houssiau, at the Catholic University of Louvain-La-Neuve with a thesis entitled: Bible and Sermon. 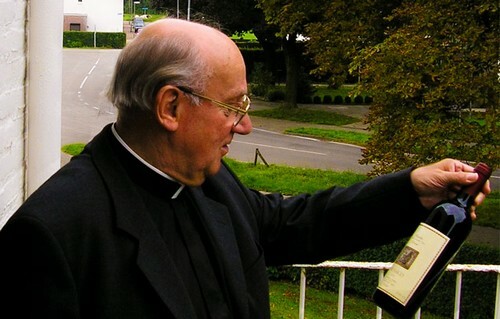 He was president of the seminary John XXIII in Leuven from 1970 to 1988. He was also a professor at the Center for Religious Studies in Leuven and the major seminaries of Antwerp and Ghent. He was co-founder and professor at the Center for Priestly Training for Mature Age in Antwerp. He was Ordinary for Pastoral Theology at the”MEDO” – the International Institute for Studies on Marriage and Family . Since 1977 he was a lecturer at theMajor Seminary Rolduc Kerkrade and from 1988 to the St. John’s Centre in ‘s-Hertogenbosch, where he notably the subjects taught homiletics and pastoral theology. He was founder and first director of (then) Radio Maria Netherlands and Flanders ‘ s-Hertogenbosch. He was a Roman Postulator for the process of beatification of the Latvian bishop Mgr. Boleslavs Sloskans, who died in exile in Leuven. He was also delegatus episcopalis for the beatification and canonization processes include Zr. Maria Tauscher (Sittard), Father Charles of Mount Argus (Munstergeleen) and Dorothea Visser (Utrecht). He was also pastor since 2005 to Mariadorp-Eijsden. He was also editor for Belgium of the international Catholic journal Communio . Because of his great services to the Church in the Low Countries appointed Pope Benedict XVI Dr. Stefaan Van Calster until erekapelaan the Pope ‘in 2010. Since then, as “Professor Van Calster,” as he was known by everyone, is “Monseigneur Van Calster’ call, and if he his cassock wearing the purple regalia, peculiar this honorary office. In the pictures we see Mgr. Van Calster with Pope Benedict XVI, with Msgr. Léonard during a canonization, in his parsonage to Maria Village, as a teacher and as a preacher.